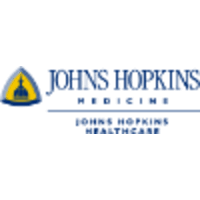 At Johns Hopkins All Children's Hospital, we offer first-class pediatric care, along withthe best lifestyle anyone could imagine. In the heart of Tampa Bay, our main campus and state-of-the-art facility is located in downtown St. Petersburg, Florida and just minutes from restaurants, beautiful beaches, sports arenas and a multitude of family activities. We are committed to cultivating, nurturing and hiring the best talent for our organization and believe every person makes a difference in the lives of our patients and their families. As you’ll see, we take our work and our fun very seriously. We think you're going to love it here. Analyzes high-throughput genomic datasets derived from next-generation sequencing and expression array technologies. Responsible for applying bioinformatics methods to large-scale genomic and transcriptomic datasets to elucidate biological insights. Specific responsibilities include developing statistical analysis plans and data analysis strategies, implementing algorithms, and deploying computational software for exploration of high-dimensional data, as well as contributing to statistical analysis sections of IRB and grant applications, drafting analysis and results sections for clinical study reports and scientific papers, and supporting general publication of analytic findings. Performs analyses with high-throughput genomic datasets derived from next-generation sequencing and expression array technologies to advance biomedical discovery and advance scientific contributions in respective content areas. Works collaboratively with laboratory scientists to facilitate statistical planning and explore novel data representation models to integrate diverse data types into meaningful formats for analysis, interpretation and presentation. Contributes to protocol design and analysis sections to ensure adequate methods are proposed withdirect alignment to proposed aims, hypotheses, and/or project goals. Develops and documents analysis plans to facilitate communication across study team and any internal or external collaborators. Writes results sections of clinical study reports to accurately reflect analyses that were completed in accordance with approved study design and analysis plan. Remains current on new methodological and analytic developments through literature review and attendance at workshops and professional meetings. Maintains professional growth and education. Maintains confidentiality of data and electronic information consistent with hospital, state, and federal guidelines. PhD in biological sciences, bioinformatics, computer science, engineering, mathematics or related field. Minimum of 3 years postdoctoral training in bioinformatics or equivalent combination of education, training and experience from which comparable knowledge, skills and abilities were obtained. Experience in clinical genomics and biomarker discovery related data analysis preferred. Knowledge of at least one programming language including C/C++, Perl, Python or Ruby and knowledge in at least one environment for high-dimensional data analysis such as SAS or R is required. Ability to function with minimal direction. Ability to communicate and relate well to people of diverse backgrounds, training and experience.